Opendoor, the well-funded 4-year-old online homebuying and selling startup, is continuing its steady expansion across the U.S. The company launched its business in Houston at the end of July and will be buying and selling homes in Austin, Texas, and Jacksonville, Florida, in the next few months, a company spokesperson told Inman. The company says it is hiring in all of these markets already and has jobs posted for general manager, which is the role that runs each market, in Sacramento, Riverside, Portland, Minneapolis, Jacksonville, Houston and Atlanta. In its latest funding round, Opendoor raised $325 million, for a to-date total of $645 million in equity financing and $1.5 billion in debt. The startup is valued at over $2 billion and said it plans to be in 50 markets by 2020. Eighteen down, 32 left to go. In Austin, it will go up against a rival local homebuying and reselling startup, Amne. Interestingly, Opendoor has yet to attempt a launch in some of the country’s largest and wealthiest metro areas. It’s not in New York City or Boston for example, though Inman has explored how the company’s automated valuation modeling and algorithmic determination of housing values may be challenged by the more eclectic and older housing stock of the Northeast. It’s also yet to launch homebuying and selling operations in pricey San Francisco, where the company is officially headquartered. 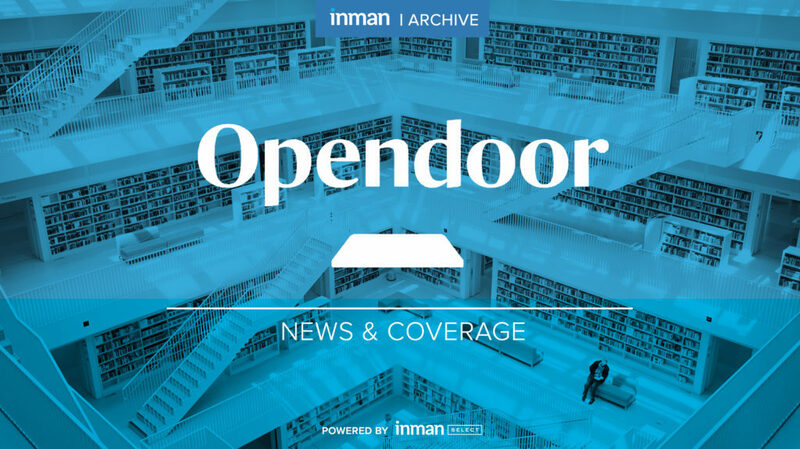 Opendoor is among the best known of a new wave of companies known as “iBuyers,” a term coined due to their shared use of the internet and other online-based technologies to streamline the homeselling process, offering all-cash for homes and quick closes without the need for showings, or even real estate agents at all. In the case of Opendoor, prospective homesellers can visit the company’s site or app, enter their address and receive an offer, less a service charge ranging between 6 percent to 13 percent (average 6.5 percent), which sellers can accept or reject. Opendoor also conducts an on-site assessment and determines if the home needs any repairs, which Opendoor can do and deduct from the offer price, or the sellers can undertake on their own. If a seller takes the offer, Opendoor closes in days, and then it re-lists the home for sale on its site and app, where prospective buyers can do on-demand showings. Buyers can also use Opendoor’s app to shop for homes. The company has been greeted with challenges from other similar startups including Knock and Offerpad, as well as larger, more-established companies including Redfin and Zillow, the latter of which launched and has rapidly expanded its own online homebuying and selling services this year, even buying a mortgage lender to help provide a more end-to-end solution for prospective homebuyers.